You get this mission from your faction hub. It will be listed as a “Special Assignment” (Action Mission). You must be a minimum Faction Rank 6 to accept this mission. Objective: Go to the location on your map. Enter the portal. As soon as you step off the platform, you’ll be attacked from both sides. Each enemy had just over 4K health. After a few waves, you’ll a Mercenary Veteran will appear. Finish him off to advance to the next tier. Objective: Enter the first warehouse. Start making your way to the opening, clearing the Phoenicians and Mercenaries. 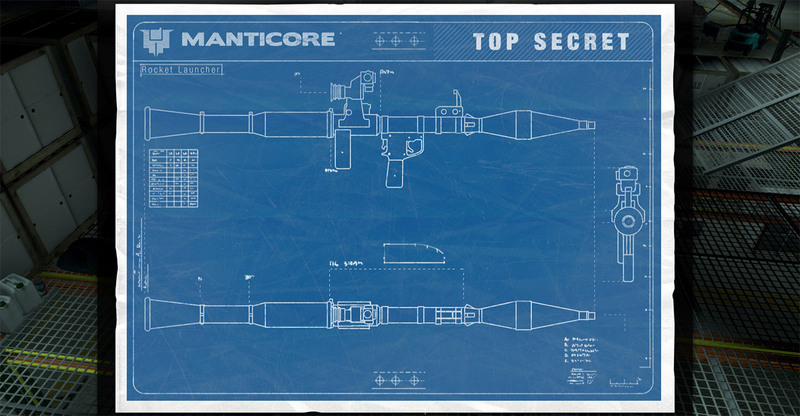 The schematics are located at the top level, guarded by 2 enemies. 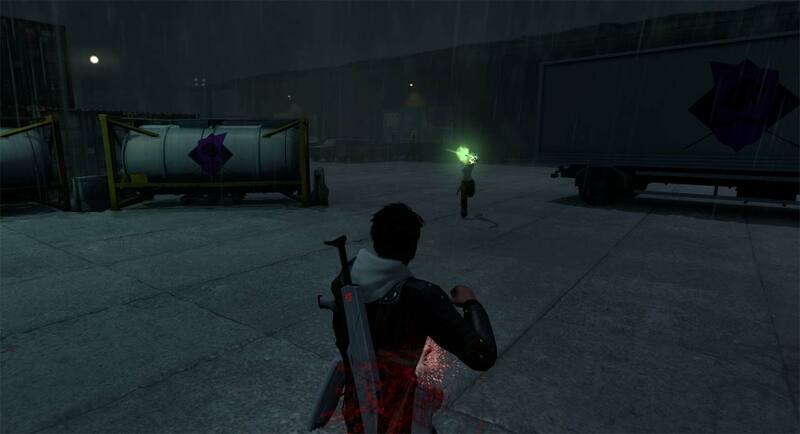 I killed my way through the rest warehouse, but those favoring a more subtle approach can maneuver around with minimal combat. The goal is to make it to the back door at the far left corner and get outside. BE CAREFUL, AS SOON AS YOU EXIT AND STEP INTO THE LIGHT, YOU’LL GET SNIPED. Stay to the shadows and behind boxes to survive.. If you step into the light, you’ll get a lock on your head and chances are, you’ll die. A cheap way to do it, stack some health gear and make a run at the blue crates. Health gear will increase the margin of error, but if you’re not quick, you’ll still die. Stick to the shadows, and you’ll have to clear 2 enemies before you can walk up to the warehouse. As you walk forward, be careful on this next pull as it will include 3 enemies. Dispatch then, then Enter the Warehouse. Objective: Search for the stolen shipment. This place is loaded with enemies. If you’re alone, try to manage pulls to minimize your chance of death. Otherwise, proceed to the right, keep clearing, on the far right wall, go under the platform. Head inside and keep clearing as you come to the opening. Follow the path along, leaving corpses in your wake until you finally come to your objective. Objective: Enter the third warehouse. Head for the door at the back of the warehouse. Back outside, same rules apply, stick behind cover and to the shadows, but this time, you have to clear some enemies along the way. Sprinting and use of active dodge can help here. After you’ve cleared that alley, you’ll come to a clearing then be looking on towards another gauntlet, you can bypass the next sniper by jumping on the van, and over the blue crates. By doing so, be prepared to fight as soon as you land. Clear your way in and walk through the front door. So, there’s a dirty trick in this one … Walk in to the right, kill the one mercenary patrol. Then (see image below) jump up on those boxes and hop over. You’ll see the High-Tech Rocket Specialist guarding a case. Hop down, destroy, and click the crate. Exit out the way you came and return to the portal. Mission Complete. Enjoy your Rocket Launcher. I found that it’s really fun to use Domino Effect for final defense as it pulls everyone to the ground for a sec or two therefore reducing their chances of getting a shot at you. This mission was rather easy, but it’s extremely annoying that you could be up on top of the catwalks and if you do any AoE you can hit the gas canisters below you. When they explode they can cause you to aggro a bunch of extra mobs. Lol enjoy your rocket launcher. By the way, you need 50 spare AP points to use it. Once you’re tasked to reach the third warehouse, it’s easier to simply reset to the respawn point at the portal. The third warehouse is just over to the right from there. Funny thing: you don’t need to fight the enemy waves on Tier 6! Just trigger “Alarm! Alarm!” event, run to the right of the portal, jump on the containers, then hide inside second open one (first is not safe from rocketeers). Wait till you receive a call from the Council 🙂 It saves me a lot of nerves. How the hell do I leave once I’m in and defending the portal. I already died 38 times. (Literally) to get the rocket launcher now at the end there are several guys just piling me. This is impossible and now I can’t leave. Alternatively, for the second warehouse if you’re doing it alone: kill the two you see in the first pool of light. Let your health repair, then jump up by the fence, put on sprint and run for it. You may get targeted but jump off behind the trash container and just regenerate your health again. Pull the closest adds out 1-2 at a time before entering warehouse 2. Watch for the ones up on the second level by the door, too. Once the entry is clear, head to your LEFT (as you face the entry) inside the building. There is a patrolling guard you’ll have to kill just over 8k (be sure to pull those guys one by one) and another couple with 4k health each. 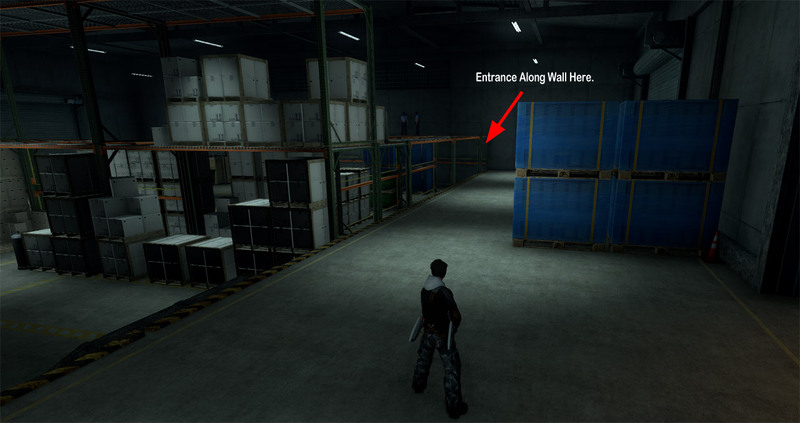 Instead of proceeding straight ahead at this point–your objective is to get the clipboard on the second level–you can do this with MUCH less killing by jumping up on the crates along the same wall the entry door is on. The clipboard is right on the other side of the crates and guarded there by two 4k personnel. 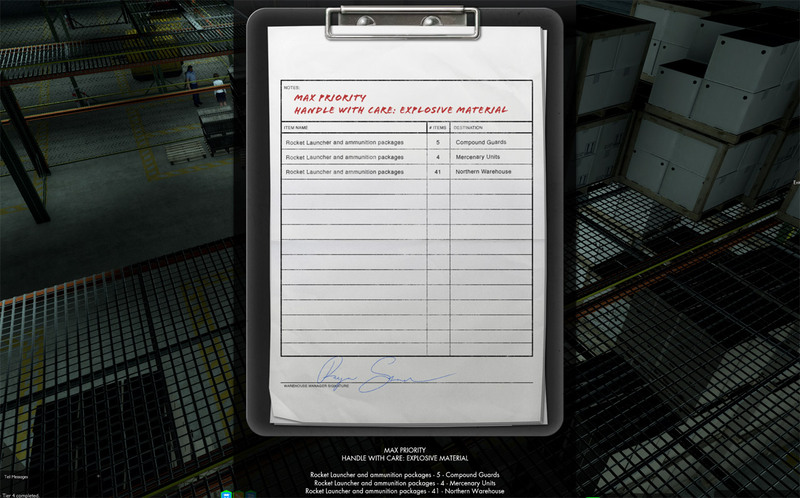 There is also a patrolling guard you’ll probably have to kill after you get the clipboard. Just stand there and watch between the crates and wait until the patrolling guard on that second level is away. Then aggro and start shooting the two guards. Stay standing where you are. Once they’re dead, jump over and grab your clipboard. This saves you about 10 minutes or more and multiple aggro kills. A couple other tips for solo-ers, if you’ve died enough times to need to repair your equipment, you can do so at the soda machines inside the warehouse without leaving the instance. Try to only aggro 1-2 at a time and pull them outside or away from others. You will have to aggro quite a few to get up the ramp for the first warehouse. Take along some tacos and potions. And some health regeneration passives in your build. For the final tier, which to me was the worst until I figured this out, I ran to the RIGHT (as facing the gazebo exit) about 40 meters, there are a bunch of crates there. I stayed inside an open crate (you walk into it, not jump from above). This drew the enemies together for me and made it easier to kill them.